There are 7 reviews of Carven L'Eau Intense. This an absolutely beautiful green minty fougere fragrance created by the famous French perfumer Francis Kurkidjian. It is blended in a similar way to Kurkidjian's niche aqua fragrances, but smells extremely similar to another favourite of mine - Acqua di Parma Colonia Club (Colonia Club goes in the direction of spearmint with lemon in the drydown, preserving Acqua di Parma's traditional colonia base, while Carven L'eau Intense goes in the direction of spearmint with birch tar and lavender, and a hint of cardamom to sweeten it out). I can't believe this was only around $20 online. It opens with a bright and strong dose of spearmint with citrus fruits, and as it dries down the spearmint note persists along with a green smelling natural lavender note. It is green, fresh, minty, and herbal in nature without being too old-school. Projection is moderate while longevity is fairly great at 4 hours of solid projection and many more hours after that as a skin scent (roughly the same though very slightly less longevity than AdP Colonia Club). Overall I am very impressed by this scent. Clean, fresh and minty. The synthetic lemon/grapefruit isn't the best, seems thin. Should be a nice wear in the summer and has some sharpness to cut through cold air but doesn't have enough performance to make it suitable for colder months. That being said, it does have decent performance, both in projection and longevity. A nice, natural smelling "Eau" from Carven. The opening notes of mint, grapefruit and birch are really nice. A very clean and green citrus accord that slowly fades away within the first hour. The remainder of the fragrance is a lavender and wood with a lilting ginger that reminds me of a French Provence hotel soap. Nice and clean, but lacking anything distinctive. If you want fresh and clean, this is a good choice. You have to like mint though. Carven quality is excellent. Clean, delightful scent from Carven! It's a long-lasting "green" fragrance, with a well-crafted blend of citrus, woods, and floral oriental notes. I get sensations of verbena, vetiver, pine, and sweet spices that's remotely similar to Carven Homme (original); the pine reminds me slightly of Coty's Aspen (if you compare the fragrance triangles for both scents, there are MANY shared notes between them). 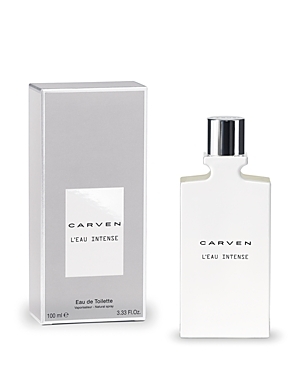 Carven L'Eau Intense has a classy, European vibe to it, reminiscent of how Faconnable feels to me. A sophisticated construction worthy of a test spritz! 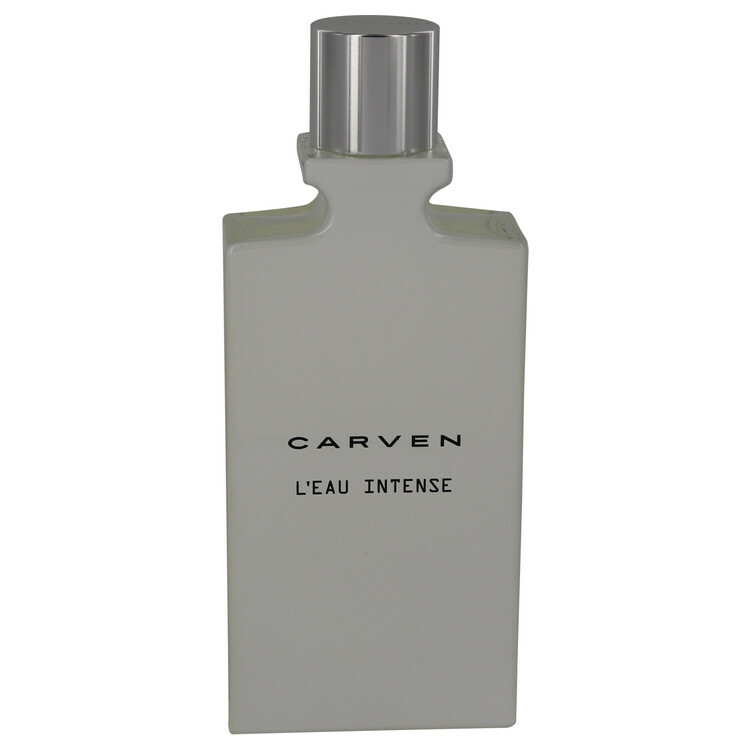 Carven L'Eau Intense Eau de Toilette 1.7 oz. There are no member images of Carven L'Eau Intense yet. Why not be the first?